I currently play full time and am located in the Chicagoland area. I’ve made a few Casino 411 entries and am working on more all around the Midwest. I am more than happy help out AP’s of all levels in the area train, network, or even give advice / share experiences if anyone is on a trip in the area. Additionally I’ve concluded networking has been my biggest weakness. I’m naturally pretty shy, so this would be a huge help to myself as well. I had a difficult time putting my story into writing without rambling on and on and on and giving too much information. So I decided to use the “Profile of a Card Counter” questions as a template to get my story across. Still a bit lengthy, but enjoy! In college I spent a lot of time youtubing interesting videos when I had down time at work. Then one day I came across MIT’s and Tommy Hyland’s “Breaking Vegas” episodes. Given the fact that I played blackjack recreationally in a casino a few times before (ploppy Kibbs), I was absolutely amazed by their stories, big wins, and accomplishments. Most of my research afterwards was to see exactly how card counting worked and how difficult it would actually be to learn. I never pictured taking it up 100%, but each documentary lead to another, which led to more online research, which led to beginning to practice, which led to book after book, which led to even more practice, which led to a BJA training kit. 2. How long have you been counting cards? 3. How long did it take you to trust your skills? How do you know you’re any good? I learned basic strategy and knew how to count 1 deck just okay beforehand, but it took me about 4 months to trust my skills after extensive training with the BJA kit only. Perfect counting and deck estimation was my only form of positive feedback with the tools provided at the time. I had the BJA iOS app, but preferred to take more of a “hands on” approach, as live deck estimation was my biggest concern about the system. I could not put a number on how many conscious mistakes were made during this time, until they faded away at the near the end. After exhausting this training at home, I knew I was ready to make the casino jump. Looking back I was not perfect and was underprepared. A successful red chip stage followed and the first back off came after 6 months of play. I knew there was still room for improvement in my game, knowledge of the game, and bankroll management. But this was a motivating moment for me knowing I was on the right track after all of this hard work. 4. What are the biggest challenges you’ve faced/had to overcome? My biggest challenge was getting into the AP life by myself. I didn’t have any friends or family that were interested in tagging along in the journey with me, and they usually think you are crazy along the way! 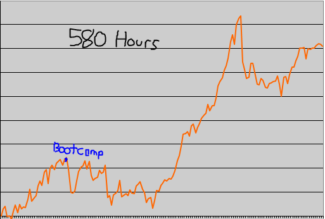 Then once you get there it’s difficult to overcome bad variance, traveling, expenses, and backoffs all alone. It gets exhausting, but worth it in the end. Not too many people in my personal life can relate or understand the concept of generating EV, but it has got better with time. Additionally, having a someone to deal to and deal to myself would have improved my skills and career progress much faster. 5. Any advice you would give to others? Anything you wish you would have known? Get active on the forum, build a support network, and attend a bootcamp as soon as possible. Do not skimp on your training investments and always strive for perfection no matter what stage you are in. Additionally, I wish I purchased CVCX earlier on. It seems as if many APs (including myself) begin their career playing with a huge ROR that would make me feel sick now a days… yet this is a subjective decision. Regardless of ROR, the program really opens EV eyes about different games, rules, pen, spreads. Don’t hesitate to purchase even before you think about playing. And KEEP ACCURATE RECORDS from the start. I failed to do so in my red chip stage and really wish I did. 6. Any highlights of your career so far? Attending bootcamp and meeting my heroes. Then watching bootcamp presentations and realizing I have even more AP heroes to look up to! Participating in the dealing sessions and the testout was such a relief. It revealed a hole in my game and really opened my eyes about table control and staying vigilant about dealer errors at the same time. Bootcamp was the first time I even networked with another AP and it was a surreal experience for me. 7. What’s your favorite thing about being a card counter? Having a legal edge over the house in blackjack! I can’t find the exact Tommy Hyland quote, but he believes it is one of the most honorable things a person can do. Of course there is way more to life than being an AP but I love this quote 🙂 The freedom and lessons learned along the way are also very valuable. 8. Whats the most you’ve ever won/lost in a day? How did that feel? How did you respond? The most I won in a day was $5,020, 3 seperate sessions, 2 different casinos, 12 hours total. I honestly just figured out this was my biggest day after looking through records. Of course it felt nice at the time but didn’t really hit home since it was 3 individual good variance sessions. So there wasn’t really a celebration or anything, just went to bed like normal. Both of my biggest sessions were just over 4K which felt awesome but I did my best to remain calm on the inside. The biggest loss came from a 10 hour marathon session (with appropriate breaks) on a good game where they simply just let me play. And no wonder why… -$9,700. Literally everything went wrong as the TC went up this day. Seemed as if when ploppys in general attest that “this dealer never busts, he/she gets 20 or 21 every hand” was actually true. While the dealers assured me this is the worst they have ever seen in however long. I know none of this mattered as long as I was playing correctly and generating positive EV, so I did until it was time to call it a night like any other extended session. I definitely had a sinking feeling in my stomach in the car ride home and questioned everything. Did I drink enough water? Did I eat enough food? 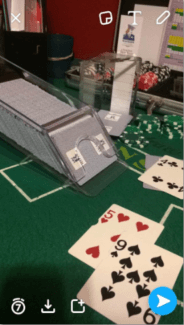 Does card counting still work? Was I too fatigued to play? Was I playing perfectly? After the long drive home I recorded the session and ran through a shoe at home and did just fine. This helped me cope with the session result and I went to bed and felt a lot better the next day. Took a few days off, downsized my bets, and got back to grinding a few days later. Luckily this loss happened further into my career and there were many others that seemed to hurt more & prepared me for this one. We all know it’s going to happen, just a matter of when and where. 9. Any memorable story (stories) you’re willing to share? Back off stories tend to be the most interesting and my favorite one happened not too long ago. I was playing heads up and what appeared to be a normal pit boss / floor person was watching my play on a double deck game. He didn’t seem to be suspicious or seem to scrutinize me much, just observing as they normally do. After a few max bet hands he introduced himself to me as the shift supervisor and gave the “no more blackjack” spiel. I told him I understand, but I was more upset about leaving the max bet count that remained at the table. Then sure enough when I turned my head back to the table to get my money, the dealer zoned out the entire conversation and dealt me one card with the max bet out there. The supervisor and myself were caught off guard but we both knew the hand had to be finished. Fortunately the hand went my way, but I found it so amusing that this all happened literally 5 seconds after being backed off. None of this was intentional but it was a pretty cool way to stick it to the man! 10. What’s your favorite advantage play that you have done in your life that didn’t involve blackjack or casinos?